Andrew Muir shares his learnings on how to ensure staff get behind corporate social responsibility programs. To execute a successful and sustainable corporate social responsibility (CSR) program, support and enthusiasm from your team are critical. Regardless of how good your intentions might be, undertaking a program that achieves any sort of scale and impact requires input from more than just a few key people. So, where to begin? From my experience establishing and leading The Good Guys’ philanthropic program, the steps below are a helpful place to start and can be applied to businesses big and small. Input from your team in choosing a cause to align with is the most effective way to ensure sustained enthusiasm and commitment. When staff are consulted and involved in the process, they become more invested than if they were just presented with a cause, particularly if it’s something they don’t have a personal connection with. While it’s near impossible to reach company-wide consensus on a cause to champion, consulting your staff helps to alleviate potential push back as everyone is aware that the cause has been chosen by the majority of their colleagues, and not simply handed down by the CEO or senior management. In addition to involving your team in choosing a cause, selecting one that’s local to your business creates a stronger connection. While overseeing The Good Guys’ philanthropic program, we chose to partner with Orange Sky Laundry Australia – Australia’s first mobile laundry for the homeless. At the time, Orange Sky needed funds to help expand its critical services across Melbourne and eventually nationally. We contributed funds and resources in the form of washing machines, staff volunteering, and third-party stakeholder donations and volunteering, and it was incredibly rewarding for all of us knowing that our work was having a direct and tangible impact on the local community. In fact, a previous store manager recently got in touch after years of not having seen each other to let me know that the Orange Sky project remains the most exciting and rewarding cause she’s been involved with and that it was a memorable experience speaking with customers about the tangible results the program had. While support from staff at all levels is necessary if you’re going to launch and maintain a successful CSR program, ensuring commitment from senior staff is crucial. If they fail to demonstrate any interest in the cause, why should their teams make any effort? Senior staff need to lead by example and set the standard. Not to mention that without genuine commitment from management, the program is unlikely to succeed as sufficient time and resources won’t be dedicated to the cause. For senior staff who perceive CSR programs as a hassle, more work or a distraction – it could be worth reminding them what a powerful tool for staff retention such programs can be. Engaging with CSR can significantly boost employee morale, leading to higher employee satisfaction and ultimately a higher staff retention rate. Millennials entering the workforce are particularly engaged with companies that do good, with more than 80 per cent consistently indicating they are conscious of how a company gives back or is sustainable. Millennials are more aware of businesses that have a conscience than previous generations and view socially responsible organisations as desirable workplaces. So, you’ve consulted your team about what cause the organisation should support, your CSR program has kicked off and is running well – but how do you ensure it lasts? What if a number of people who were instrumental in choosing the program move on? Will new team members be as committed? This is where regular evaluation comes in. By regular I’m not suggesting every six months, a successful CSR program takes considerable planning plus an investment in time and money, so you’re not going to turn around and say goodbye that quickly. However, if enthusiasm and staff involvement appear to be waning, check in with your team. If it’s clear they would prefer the organisation be directing its resources elsewhere, it might be time to consult them on what cause they’d rather be supporting. Sometimes it isn’t necessary to choose a new cause, it’s just a case of changing up what you’re doing, such as giving staff more hands-on exposure. Staff deserve to be updated on the results of your CSR program and to be recognised for their efforts in making them happen. In addition, your organisation’s efforts should be celebrated. While it seems obvious, this aspect is often overlooked as we get caught up in the planning and execution. 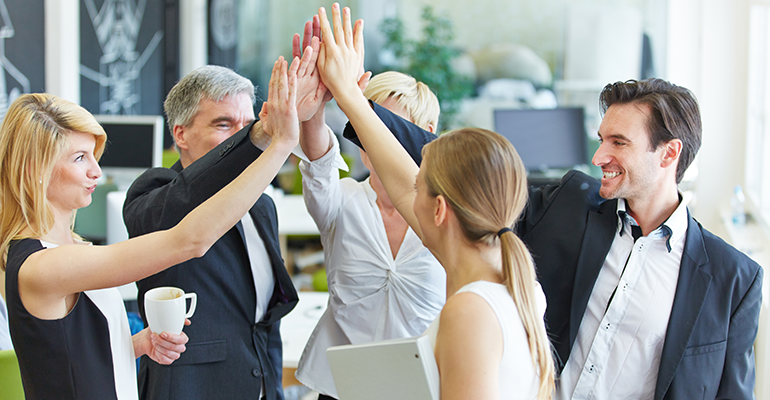 Make sure to set aside time to share positive results with the team and to come together to celebrate. When CSR programs are well-managed, staff feel connected to the cause and are more willing to work on its behalf in their own ways. In some cases, successful CSR programs result in proactive contributions from staff, such as volunteering or donations in the form of salary sacrificing. They feel such a connection to the cause that they want to contribute in their own way. While I’ve touched on the importance of checking in with your staff to see if your chosen cause still resonates with them, when CSR programs are done well they can carry on over time and endure beyond the team who introduces them. They give your brand an ongoing heart and ensure it is recognised for doing good. 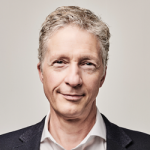 About the author: Andrew Muir is the founder and director of The Good Foundation, founder of Best Friends Pet Care Super Centres, former chairman and CEO of The Good Guys. Andrew Muir is the founder and director of The Good Foundation, founder of Best Friends Pet Care Super Centres, former chairman and CEO of The Good Guys.